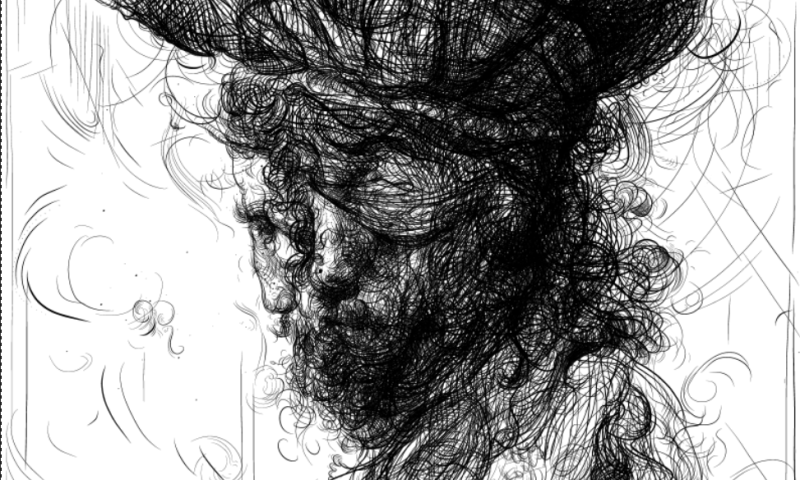 Glenn Brown, Half-Life 6, 2016, etching, 420 x 297 mm, The Rembrandt House Museum, Amsterdam. The Rembrandt House Museum is more than the artist’s former home and workshop. For more than a hundred years it has been a museum with a unique collection, particularly of prints. Rembrandt’s etchings are well represented, of course, but the museum also owns prints by his predecessors and contemporaries, as well as by contemporary artists who were inspired by Rembrandt. This exhibition shows the most remarkable examples in the museum’s collection. Discover the surprising selection of old and new, large and small, fine and rough. There will be work by Rembrandt, Hercules Segers, Edgar Degas and Pablo Picasso, and also, for example, by Horst Janssen, Willem den Ouden, Charles Donker and Glenn Brown.